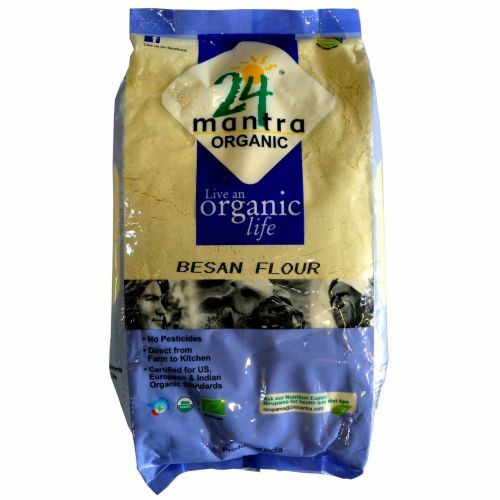 24 Mantra Organic Besan Flour is rich in protein. Also known as chickpea flour, garbanzo flour or gram flour, this flour is made from fresh ground organic chana dal. Naturally gluten-free, this organic gram flour is a great substitute for other flours where gram flour nutritional benefits are needed.